"Helping individuals, families and corporate clients with their financial planning is a genuinely personal experience for me." Bill has been an Associate Manager of Desjardins Financial Security Independent Network since 2005. Prior to joining Desjardins he spent 3 years with Investors Group as an Associate to a Senior Advisor where he learned the value of developing and enhancing client relationships. His earlier 8 year career at TD Canada Trust was an ideal foundation for his work as a Certified Financial Planner professional. Attention to detail, accuracy under pressure and conservative behavior in complex situations are hallmarks of his current popularity with his clients. He is capably supported by a team of administration, technical and underwriting specialists who enhance his ability to build lifetime relationships with his expanding client base. Bill is passionate about listening to problems before prescribing solutions and then repositioning his client’s family balance sheets in order to speed up the wealth creation process while, at the same time, taking care of major risks along the journey. His focus is on young professionals, high wealth families and small business owners. Future plans which currently excite his office include using technology more robustly in delivering superior client research and customizing communication to ensure maximum satisfaction as family and business needs evolve in the years ahead. 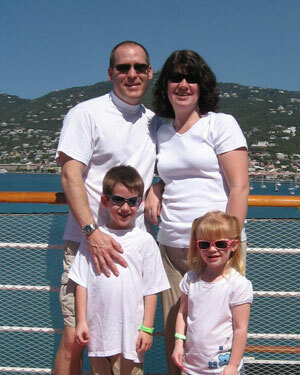 Bill is happily married to Mindy and they are proud parents of 2 enthusiastic children. Away from the business he enjoys working on his golf game, spending time with his family and has been an active member of the Canadian Armed Forces Reserve since 1996. In addition to numerous past positions for local charities Bill currently sits as the President of Childcan, whose primary mission is to assist families with children diagnosed with cancer. What we do is to maximize your asset growth using various financial and tax strategies so that you can achieve greater leverage in your wealth creation, which means you can reach your financial destination on time while eliminating unforeseen risks along the way and keeping the tax man at bay.